Again no letter this week but this gives us an opportunity to reflect on the year gone by and ponder on what 2012 has in store. Having recently taken up yoga we have been discussing expectations and how sometimes there is a pressure to live “in the moment “, when in fact the moment is made up of experiences from the past and expectations for the future. The past has such an effect on how we live our future that it simply can not be denied, sometimes it is used as an excuse for certain behaviours but if it does anything it offers an explanation and an explanation is not an excuse, it is an opportunity to become aware of choices and with that awareness comes the chance to make a choice that works for you and those you care about. The past can help us to understand how we respond to certain situations and give us the opportunity, if we explore it honestly, to decide if we want to respond in a similar way in the future or take time to reflect and make change. So what about the future, it can come with such hopes and fears of what it may or may not delver that sometimes it feels easier to brush it aside and focus on now. However maybe taking a look at the past it will enable us to dispel some of those fears and realise its not the expectations that cause the anxiety but how we handle the meeting or not meeting those expectations. This is the moment where things can get very deep and maybe as a new year dawns it is a time to keep things a bit lighter. 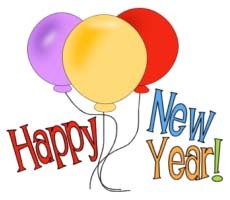 Having said that maybe a quick glance at 2011 along with a vision for 2012 could help you make some choices that will make your 2012 move in the direction that you would like. Ibiza is full of a huge range of people, genders, ages, races, cultures, religions, attitudes and sexualities are all represented, what a rich melting pot that we can call on when we need to get a perspectives that we may not have come across , one that could help us make the choices that bring us more understanding of our selves and those around us. As the days , months and seasons pass it never ceases to amaze me how if you give to this beautiful island it certainly delivers way more then even or greatest expectations could imagine. 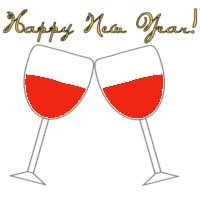 Have a safe and fun filled 2012 and I hope it brings you everything that you have chosen to let it.